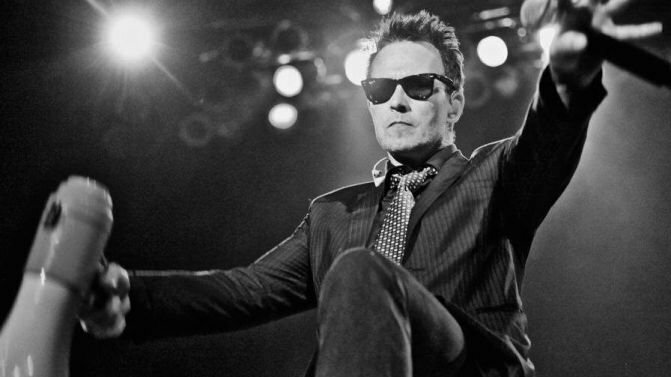 Scott Weiland died after going into cardiac arrest. According to audio from the 911 call obtained by TMZ, dispatchers noted that the former Stone Temple Pilots and Velvet Revolver frontman appeared to have suffered a cardiac arrest. Weiland was found dead on his tour bus yesterday, but his underlying cause of death has still yet to be determined. Police searching Weiland’s tour bus reportedly discovered a small amount of cocaine in the room where his body was found, and have since arrested his Wildabouts bandmate, Tommy Black. The bass player has been charged with 5th degree felony drug possession. However, despite rumours that Weiland had lapsed back into his old drug habits, his wife Jamie Weiland has told the gossip website that he’s been clean and sober for years, save from the occasional social tipple. Mrs. Weiland – who had been on tour with The Wildabouts but went home a week ago – insists that the only drug her husband ever did these days was alcohol and that the cocaine found on board the bus did not belong to him. She even told TMZ that there was a pact among the members of The Wildabouts not to do drugs. “He [Scott] was the best he has ever been,” she said. Footage has also emerged of the singer’s final ever performance this past Tuesday, December 1st at Adelaide Hall in Toronto. Check it out below, or read our own tribute to his life and musical legacy right here.